The Farmhouse is the latest Penguin & Bear project and is one that we are extremely proud of. While out one afternoon in May 2017, we stumbled upon a farmhouse in Tyne Valley that was in need of a new location and some TLC. When chatting to the former owner and discovered that the house is a staggering 119 years old and had originally been part of a bigger home (pictured below). We loved the notion of preserving this house's history and giving it another lease on life. 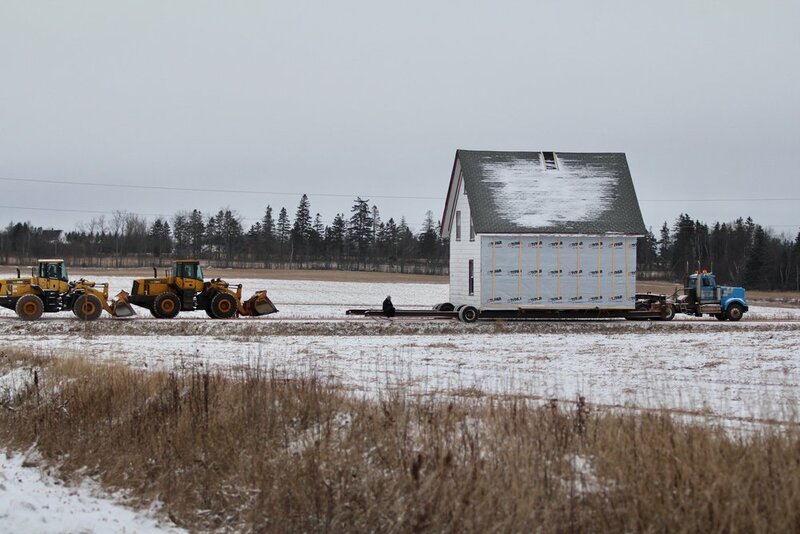 On the 19th of December 2017, on a frosty but mild tempered day, The Farmhouse was moved a mere 4 km away from its original location and is now in its final place, on Willie Birch Road, Tyne Valley. While the journey wasn't far, it did require a lot of help and on the day of the move, help was plentiful. The Farmhouse had been sitting on steel beams and the moving truck well in advance of the move date. 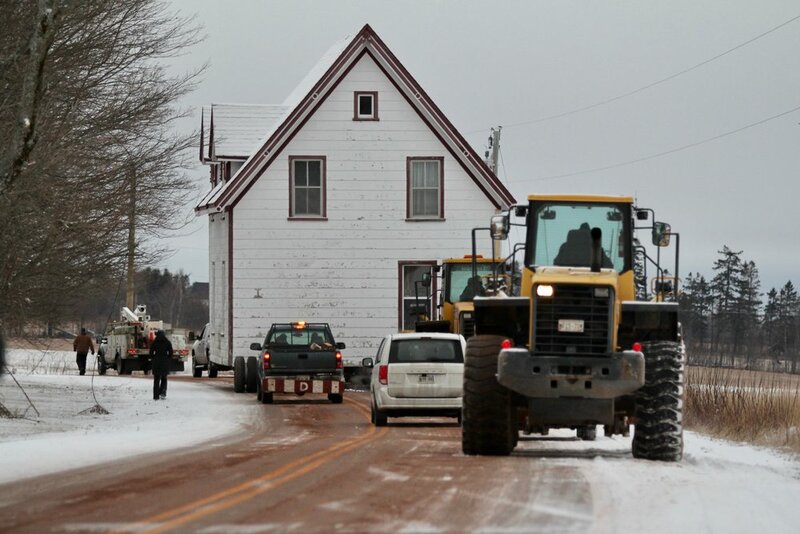 When the move date finally came about, the house was ushered by traffic controllers, loaders and cheered on by plenty of spectators - many of whom shared fond memories of The Farmhouse. Power lines were temporarily brought down to make way for the roaming house before it was magnificently placed on its new foundation. 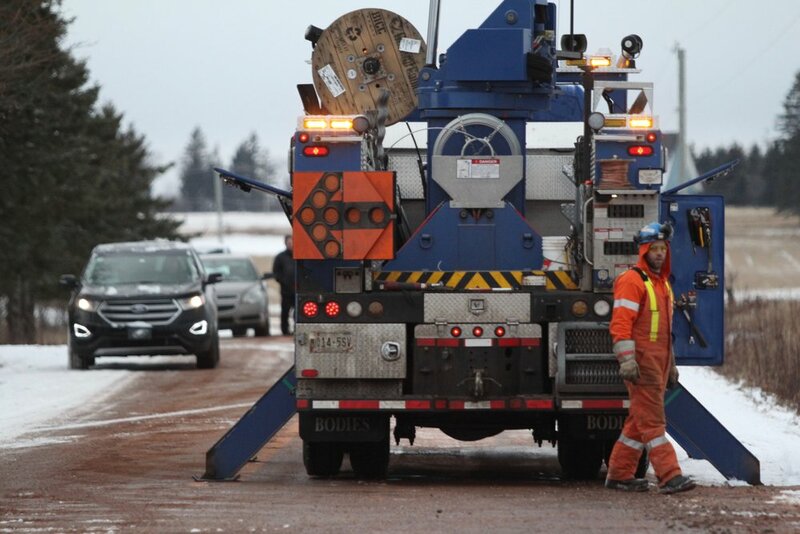 The timing of the move couldn't have been more perfect - only days before, the ground would have been too wet to make the move possible, thank you Mother Nature! The next chapter for The Farmhouse saw this beautiful home shine once more. The house underwent a full makeover that will included new features such as a wrap around deck to soak in the water views and a luxe loft space. In total The Farmhouse sleeps up to 8 guests within three bedrooms, made up of 1 king bed, 1 queen bed and 2 double beds. This private and relaxing property makes for the perfect accommodation when travelling to Tyne Valley as it’s conveniently located within a 5 minute drive of the village. The Farmhouse is also located on the same road as The Cottage and is a short 3 minute walk away (handy if you are travelling with friends or family but want your own space). Click on the links below to see some photos of The Farmhouse renovations and how the project progressed.